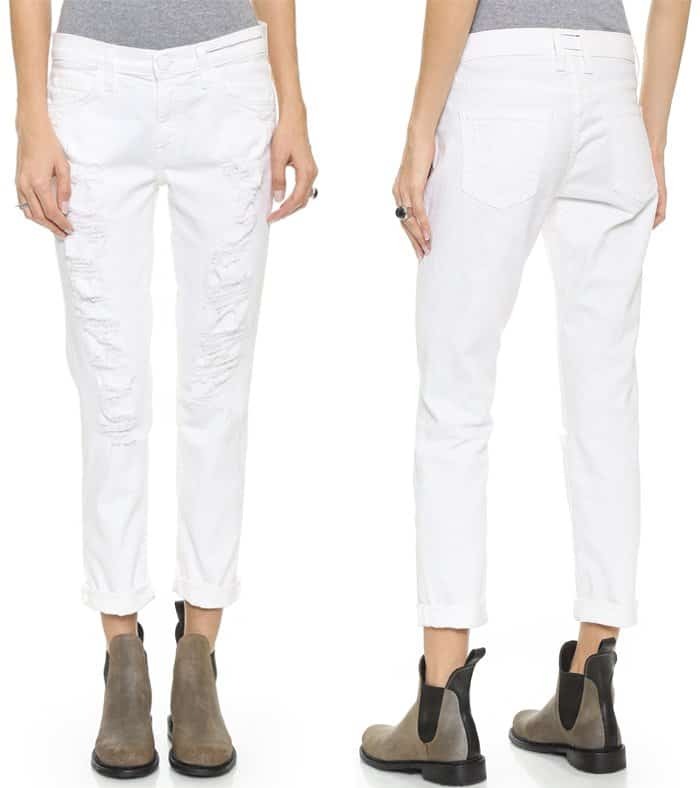 6 Ways to Wear White Jeans and Still Look Like a Million Bucks! 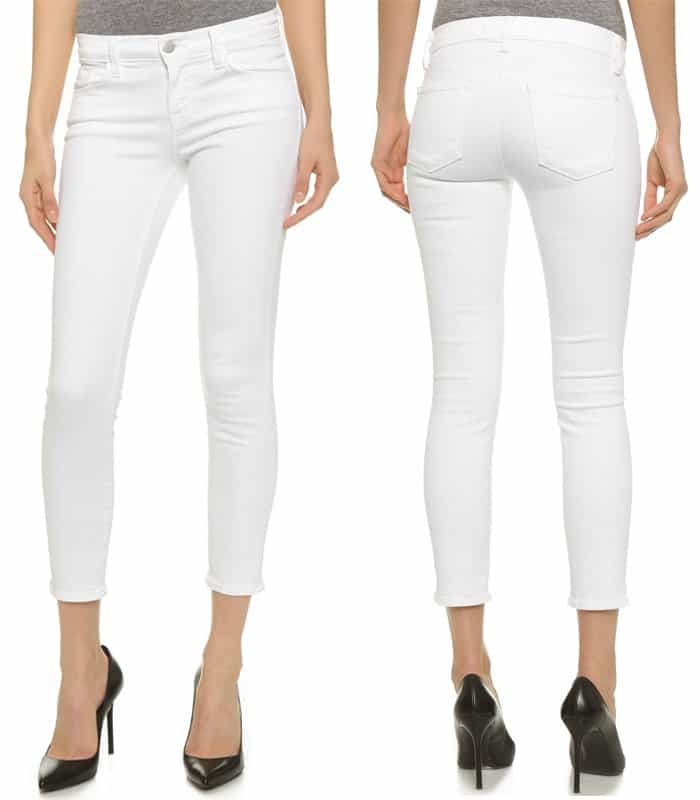 Never underestimate the appeal of basic white jeans. They may look like your last option when you have virtually nothing to wear but they can actually make you look like an “it” girl in a jiffy. Just go ahead and take a look at these ladies who knew how to rock a pair. You might want to bring out your pen and paper and take notes. The 34-year-old assembled a chic look by teaming the pants up with a navy button down shirt and brown accessories. The British pop singer chose a pair of white boyfriend jeans and wore them with a matching white button down shirt. What’s interesting about this is that the top was only partially buttoned. She capped off the look with a leather hat and a pair of booties. Here’s another styling you might find easy to copy. First, grab a pair of high-rise white skinny jeans and wear them with a soft white button down shirt. Next, tuck the shirt in and leave the top two buttons undone. Finally, style the outfit with a pair of slip on loafers. Nothing can get easier or more charming than this. 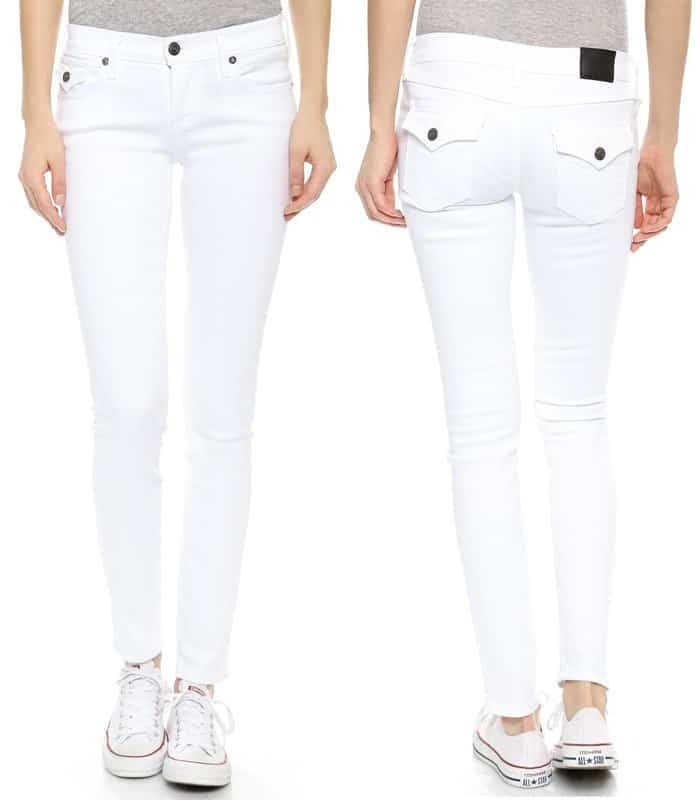 The MTV presenter wore a pair of high-waisted, cropped white jeans with a logo shirt. She added vintage vibes with her double-strapped Mary Jane flats. She added some brown elements to her ensemble, care of her crossbody bag and her sandals. This tough-meets-sweet ensemble comprised of a pair of white skinny jeans and leather elements can turn into your statement outfit.